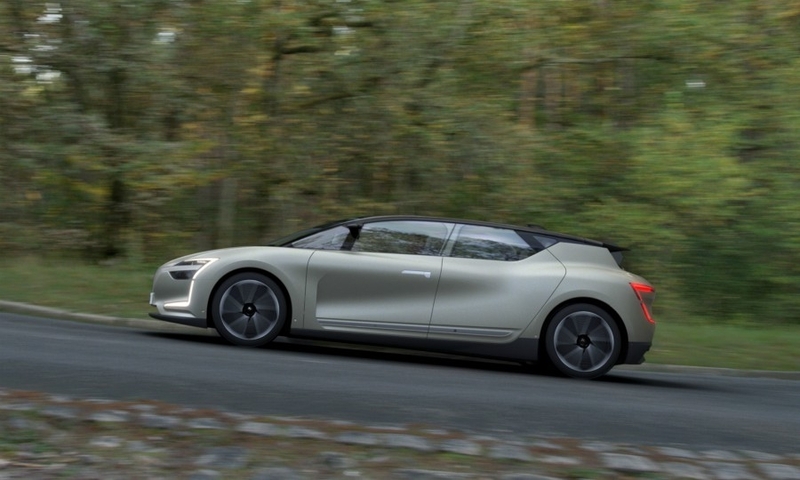 PARIS -- Renault has acquired a 40 percent stake in French magazine publisher Challenges Group with the goal of providing editorial content for drivers and users of connected and autonomous cars. Renault said its move into media is a first among automakers. Entertainment will become a bigger chunk of business as drivers switch from speedometers and steering wheels to pastimes such as in-car entertainment and dining, it said. 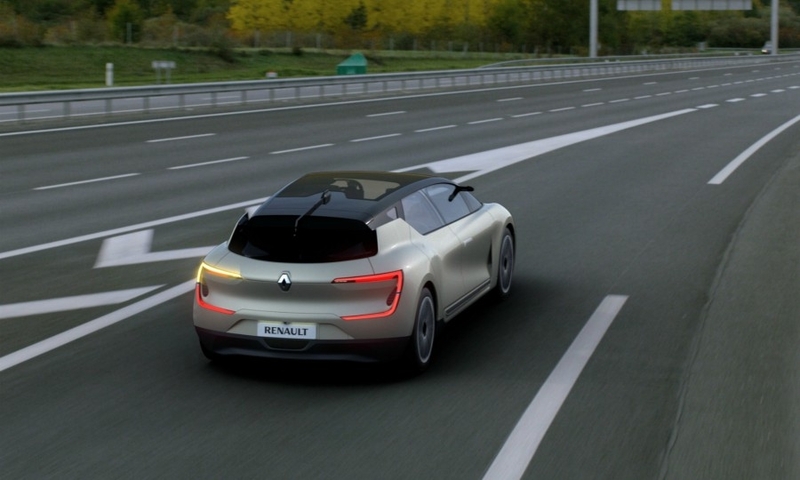 Renault is conducting trials of semi-autonomous cars and plans to put fully self-driving vehicles on the road as soon as 2021. It is also working to offer robo-taxi services. The unusual deal marks the latest move out of automakers' comfort zones as vehicles move to a connected, self-driving future with a host of new competitors such as Apple and ride-hailing provider Uber. Manufacturers are spending record amounts on the transformation, with a still-uncertain payoff and lack of clarity on which new business opportunity will take off. 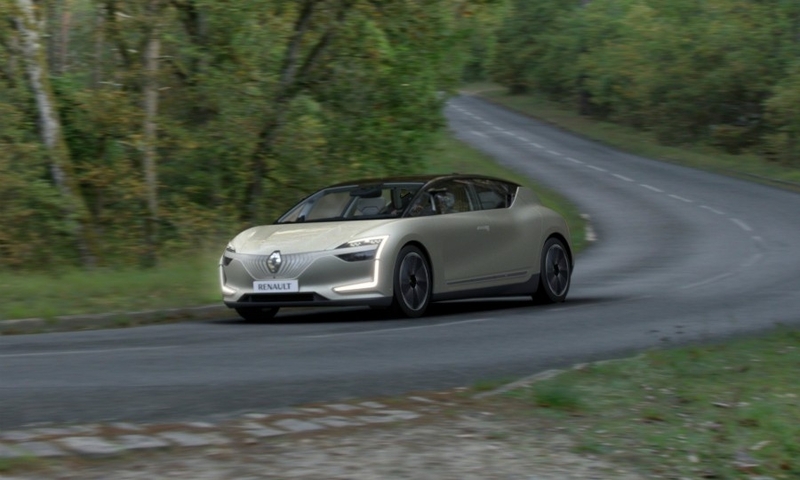 "This project is totally in line with Groupe Renault's strategy, which aims to offer new, high-quality connected services and to improve the customer experience," Renault CEO Carlos Ghosn said in a statement. Automakers are thinking about how drivers and passengers will use the free time that higher levels of autonomy -- so-called "hands off" or "eyes off" -- will give them. Cars with SAE Level 3 autonomy, in which the driver must be prepared to retake control of the vehicle at any time, are not yet legal in Europe, though Audi's new A8 will have that capability. "This project will enable millions of drivers and their passengers to have completely free access to a choice of high-quality information and content," Renault said, noting that commuters in Europe now spend about two hours a day in their cars. 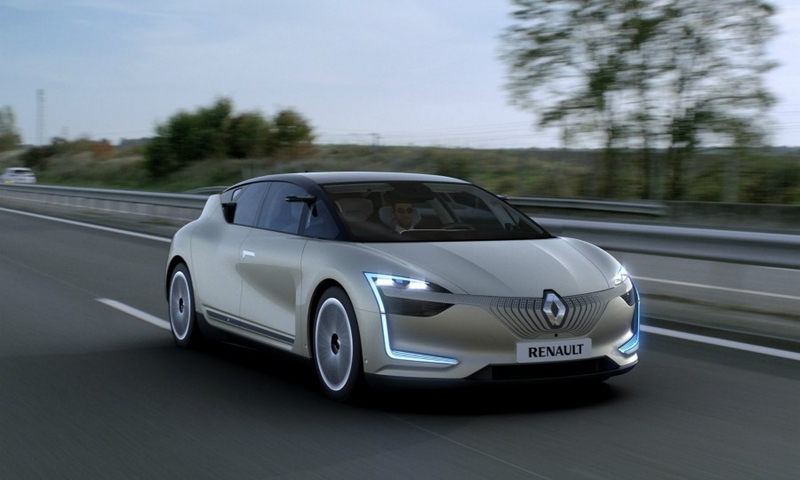 Renault explored ways that passengers in self-driving cars can use their free time in the Symbioz concept, which was displayed at the Frankfurt auto show in September as a roadworthy demonstration car with "eyes-off" self-driving capabilities. The instrument panel and steering wheel recede into the dashboard, creating more space for passengers to work or interact while the car pilots itself. 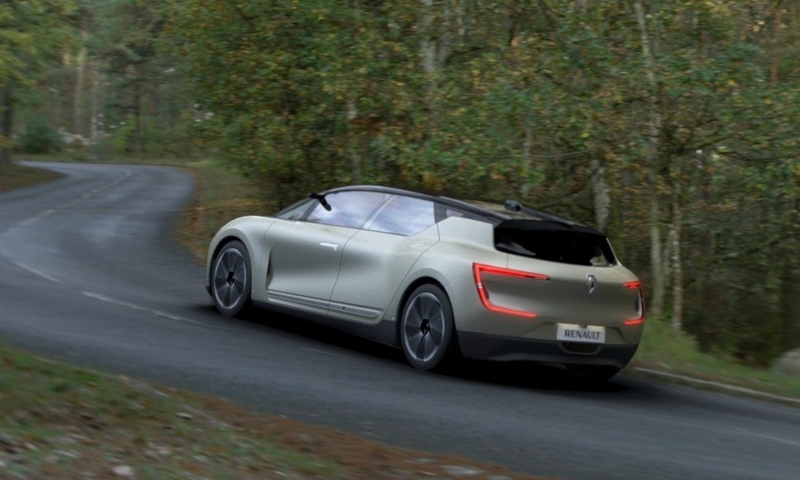 Renault has collaborated on the project with Diavalet, which makes high-end audio systems, and the video game maker Ubisoft to develop infotainment for drivers and passengers. One feature of the Symbioz allows passengers to learn about cultural offerings and historic landmarks along their journey through the car's touchscreen as well as virtual-reality glasses. 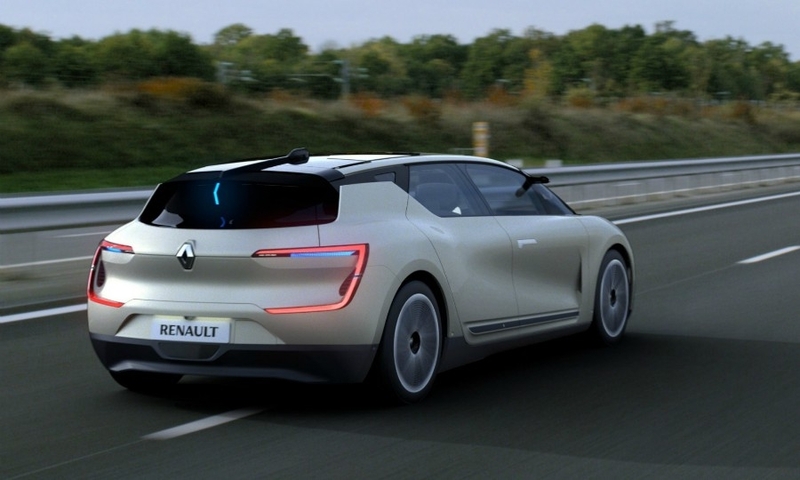 A Renault spokeswoman said the Challenges partnership would serve as an innovation laboratory to develop similar content. Challenges Group, produces Challenges, a popular weekly economic journal and four other titles on science, history and research. It is wholly owned by Claude Perdriel, 91, who will continue to hold 60 percent of the company. In an editorial explaining the move, Perdriel said Renault would respect editorial independence. Challenges covers the auto industry and publishes reviews of new models. Perdriel said the traditional model of journalism was facing increased financial pressure from web publications and the loss of newsstands. "Every year instead of losing 6,000 points of sale, we will find millions of readers and potential listeners," he said, adding that the car would become a tool for sharing information the way smartphones have. Renault will acquire its share partly through an undisclosed amount of capital that Challenges Group will use to finance initiatives in digital publishing and events.